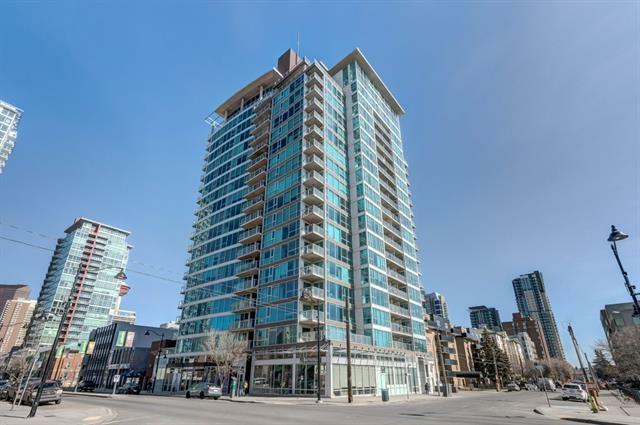 Amazing 9th floor Beltline apartment in Chocolate by Battistella! 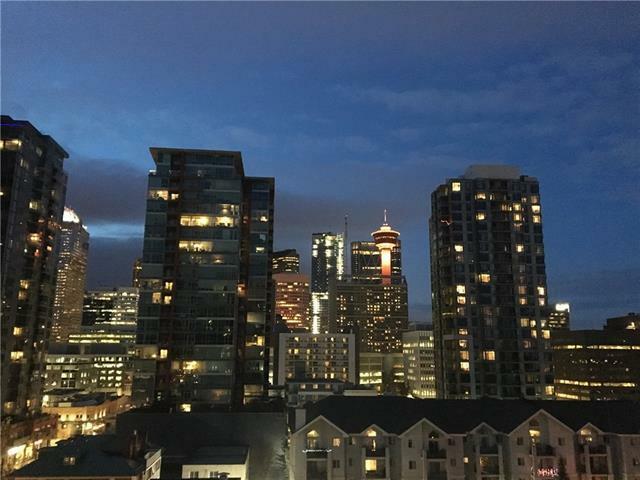 Unsurpassed City views in the Heart of Vibrant downtown Calgary. This is a 1 bedroom, plus the best Den ever & offers so much more than usual. Instead of a dark & tight Den space it is bright w/ floor to ceiling windows & a Murphy Bed (included)! It makes for both a great office & second bedroom. Morning coffee doesn't get better than from the panoramic downtown views of this covered patio with gas hookup. 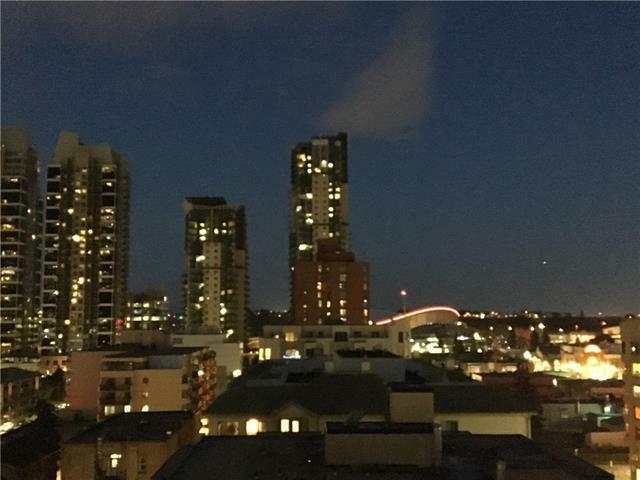 The the night views of downtown are stunning. Come for the views & stay for the lifestyle! Walk to work, dog parks, tons of coffee shops, restaurants & 17th Ave. The Heated secured parking is titled & oversized. It easily fits a car & a motorbike. The In suite laundry includes appliance. Live the downtown dream in a super modern a& cool building. 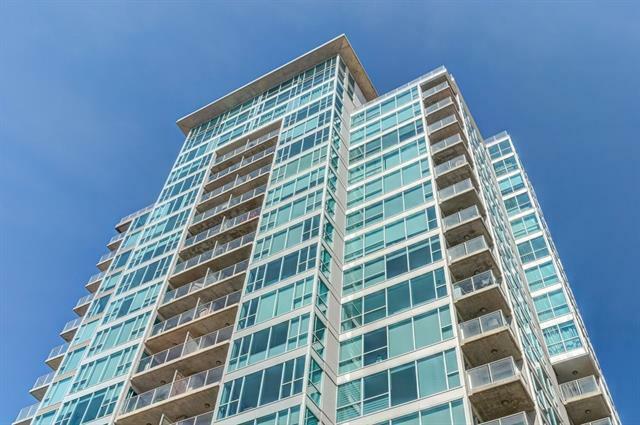 Condo fees include parking, water, heat and usuals. The rooftop patio has amazing views of the Stampede fireworks! See our 360 virtual tour then please call for more info & a private viewing! !